FSC Millport are hosting its 2nd Marine Research Symposium on Saturday 31st March 2018. The symposium is open to anyone that is working or has an interest in marine biology research. 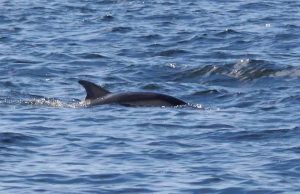 Clyde Porpoise CIC are delighted to be presenting a short talk on our Marine Mammal Project. This guidance provides advice for marine users who are planning to carry out an activity in the marine environment which has the potential to deliberately or recklessly kill, injure or disturb a marine EPS.